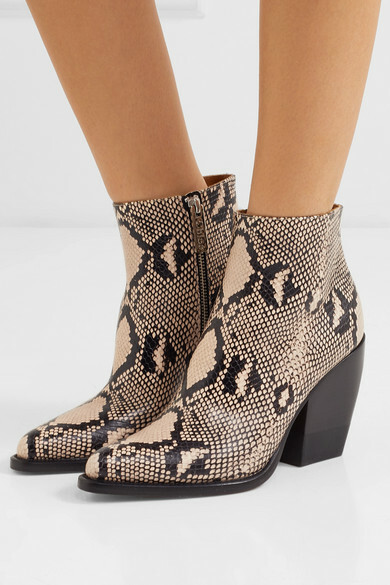 There's a reason Chloé's 'Rylee' boots are such a cult hit - they're the perfect style to toughen up a feminine dress or tailoring. 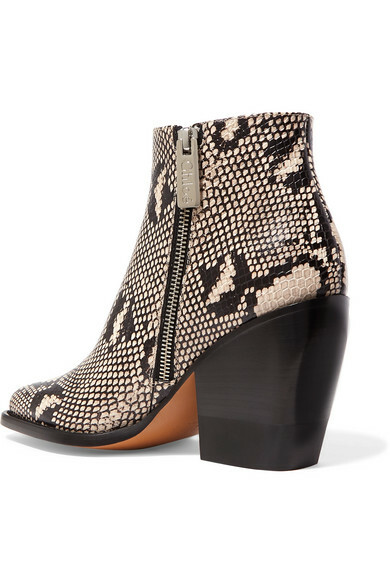 This latest pair has been been crafted in Italy from snake-effect leather and propped up on the season's favorite chunky Cuban heel. The beige and black hues will work with just about every outfit. 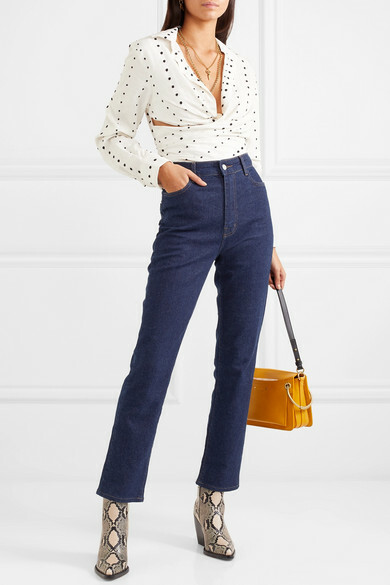 Shown here with: Goldsign Jeans, Jacquemus Shirt, Chloé Shoulder bag.